The best-selling car brands in the UK in the first quarter of 2015 were Ford, Vauxhall and Volkswagen. 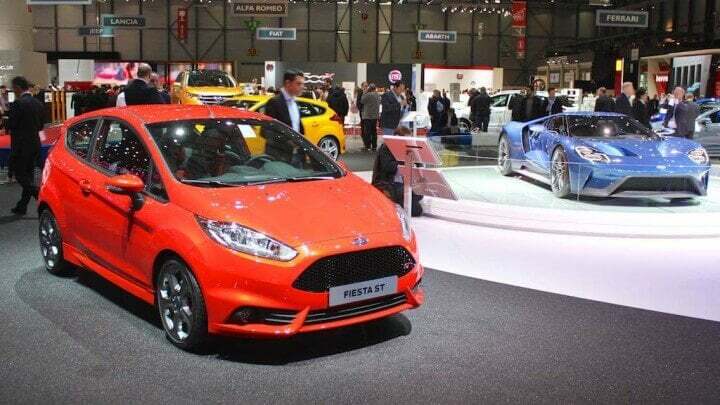 The Ford Fiesta was Britain’s favorite car model while the Corsa overtook the Focus for second place. New passenger vehicle registrations in the United Kingdom increased by 6.75% during the first three months of 2015 compared to a year ago. The British new car market continued its expansion with March 2015 the 37th consecutive month of growth. March 2015 was also the strongest month for British car sales this century with 492,774 (+6%) car sold in what is traditionally the strongest calendar month for car sales in the UK. New passenger vehicle registrations in the United Kingdom increased by 6.75% during the first three months of 2015 to 734,588 cars – nearly 50,000 cars more than in the same quarter in 2014. The British car market was helped by a generally growing economy but also the introduction of new models and attractive financing packages. Elections in early May may introduce some uncertainty during the second quarter of the year. There were no changes in the car makes on the list of top-ten most popular car marques in the UK during the first quarter of 2015 compared to a year ago but the order changed slightly. The top three most-popular car brands in Britain remained unchanged. Ford was still the top-selling car marque in Britain but during the first quarter of 2015, Ford sales were slightly lower than a year ago. In a growing market, Ford’s contraction of less than a tenth of a percentage point still cost it nearly a percent in market share. Second placed Vauxhall similarly lost market share in an expanding market. Volkswagen maintained its third place and slightly outperformed the broader market. Nissan improved from 6th last year to 4th this year. Nissan sales in the UK increased by 22% during the first quarter of 2015 – the most improved of the top-ten brands. Audi slipped from 4th to 5th with sales increases of 2.63% but well below the market average. In contrast, Mercedes Benz saw sales increased by nearly a fifth to move from 7th a year ago to 6th. BMW sales increased by 5.5% but given Mercedes and Nissan’s performance, BMW slipped two positions from a year ago. Peugeot, Toyota and Citroen all increased sales and maintained their relative rank positions. However, of the three, only Toyota outperformed the broader market. Mini sales during the first quarter of 2014 were heavily influenced by the impending launch of a new model. Sales during the first three months of 2015 were more than 50% higher to move Mini from 22nd to 18th – the only new entry in the top-20 list. The most-improved brands were Jeep, Mitsubishi, Mini and Porsche. The worst performers were Suzuki, which slipped from 20th a year ago, Jaguar, and Skoda. Land Rover improved from 17th place a year ago while Renault is also regaining favor with the British car buyers and improved from 16th. Despite flat sales, the Ford Fiesta easily remained the favorite car model of the British during the first quarter of 2015. The new Vauxhall Corsa overtook the Ford Focus to take second place. Corsa sales were around 5,000 cars more than a year ago while Ford sold 2,500 fewer Focus cars than during the first three months of 2014. The VW Golf maintained its fifth place despite selling only a few hundred more cars than a year ago. By contrast, the Nissan Qasqai sales increased by nearly 6,000 allowing the Japanese small SUV to improved from 7th to 5th. The Vauxhall Astra and VW Polo both slipped one position each. The Astra was with the Focus, the only model on the top ten to have sold fewer cars during the first quarter of 2015 compared to a year ago. The new Astra model is expected towards the end of the year. The Audi A3 improved one position while the Fiat 500 slipped from 8th to 10th. The Mercedes Benz C-Class was the only new entrant on the top-ten list of best-selling car models in Britain during the first three months of 2015 The BMW 3 Series slipped off the list – in part due to BMW’s decision to split the 3 and 4 series model names.